There are not many sport movies that inspire you to become an accountant. 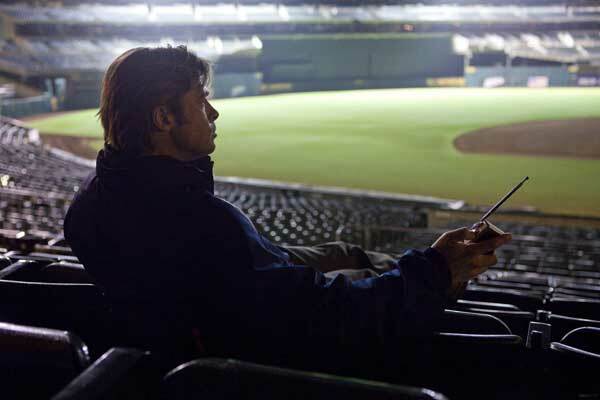 But then Moneyball is, quite frankly, a bit of an oddball when it comes to sport films. Most notably, for a film about baseball, there is surprisingly little baseball actually shown. And those parts that do feature in-game action are perhaps the most tedious and drawn-out of the film. Instead, the real joys of this movie come from the nuanced performances, stellar script and well-judged direction, which admittedly may not appeal to everyone. Brad Pitt stars as Billy Beane, the general manager of the Oakland A’s baseball team, who has an epiphany: that all of baseball’s conventional wisdom is wrong. clubs with the help of impassioned numbers man Peter Brand (an uncharacteristically dramatic Jonah Hill). Capote, has a restrained but dead-on storytelling style that is an ideal counterpoint for a tale set in the volatile world of professional sports. Given what could have been fairly dry subject material, Moneyball relies heavily on Pitt’s ability to bring subtle humour to the real-life proceedings – and simultaneously, delivering believable emotional complexity in some especially tough scenes. The supporting bench definitely helps, with Philip Seymour Hoffman (as Manager Art Howe) and Brent Jennings (playing A’s coach, Ron Washington) offering some especially entertaining counter-points to Pitt’s more solemn portrayal. That said, with the exception of Beane, the story almost entirely pushes side characters out of the picture in the closing act, and the narrative becomes much more about Beane and how he “changed baseball” than about his team. It feels like it’s really building towards something, and then rapidly changes direction and rather abruptly ends. But if you take it for what it is, Moneyball is, at least in its attempts, ultimately an honest film that gives the audience unobstructed access to Beane’s quite remarkable journey, warts and all. Just don’t go in expecting a baseball movie.